Los Angeles, US (BBN) – Actress Carrie Fisher is in stable condition after suffering a cardiac arrest on Friday, her mother says. 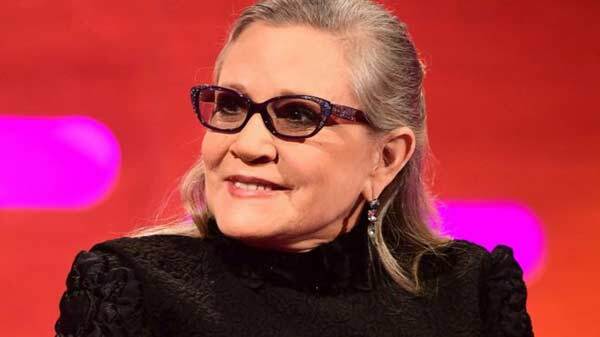 Fisher, 60, who played Princess Leia Organa in Star Wars, is in the intensive care unit of a Los Angeles hospital, reports BBC. She had heart problems during a flight from London to Los Angeles, and passengers attempted to revive her with CPR. Friends and colleagues have shared their hopes for her swift recovery. Fisher had been on tour promoting her latest book, The Princess Diarist. The cardiac arrest happened about 15 minutes before the plane landed in LA, celebrity news website TMZ reported. A medic who was travelling on the plane administered CPR. Paramedics then spent a further 15 minutes administering more CPR to Fisher before getting a pulse, TMZ said. Fisher appeared in the original Star Wars trilogy and Star Wars: The Force Awakens, a sequel released last year. She was in other films including The Blues Brothers and When Harry Met Sally, and has written four novels and three memoirs. She was previously married to the musician Paul Simon. Fisher is the daughter of Debbie Reynolds and singer Eddie Fisher.